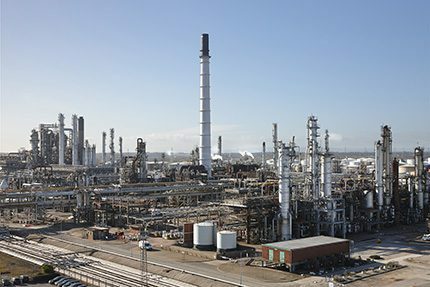 Essar Oil (UK), which owns and operates the Stanlow Refinery, announced its best ever performance for the first nine months of a financial year, for the year ending March 31st 2016. Since acquiring Stanlow in 2011, Essar has successfully reconfigured the refinery to operate as a single train highly optimised site. The refinery has increased the yield of high margin products such as gasoline and middle distillates and also reduced production of lower margin products such as fuel oil and naphtha. Robust operational performance in YTD FY16 has delivered a number of notable landmarks including the highest ever monthly amount of residue being upgraded via Europe’s largest Cat Cracker, highest monthly throughput in the HDS2 upgrading unit and record daily production of high value propylene. “The business is in a healthy financial position, with no long term debt and ongoing margin improvement plans in place to deliver an even stronger bottom line,” said Essar Oil UK chief financial officer, Sampath P.